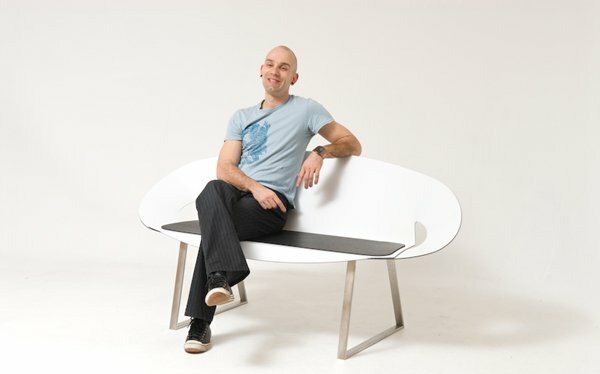 Vancouver, Canada based designers, Mario Sabljak and Mimi Law of Synthesis Studio, have created the Oval Bench and Chair. 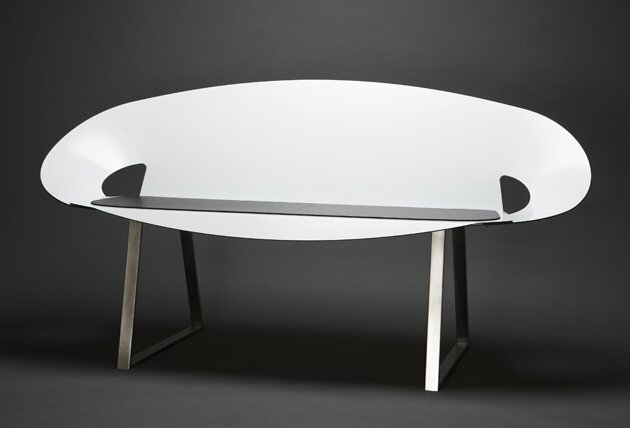 The Oval Series is an experiment to explore the potential of sustainable design by using aluminum composite, a material not traditionally used for furniture making. 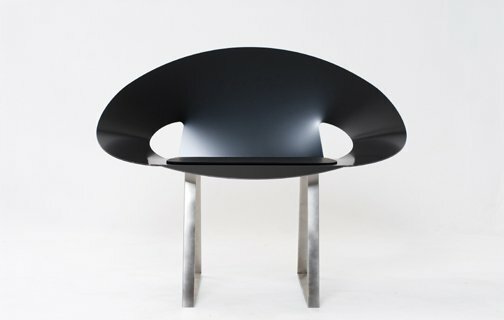 The core seating area consists of an oval shape cut out of one single sheet of 4mm thick aluminum composite, a recyclable material that is made of two aluminum cover sheets with a low-density polyethylene core. The seating cushion is made of 100% recycled rubber from truck tires. The back brace and legs are made of stainless steel tubing. 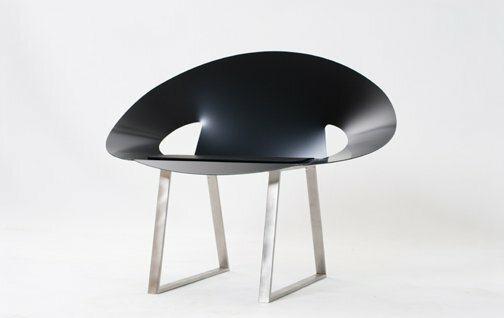 The outcome of this experiment is furniture that is weather-resistant, light weight, strong and 100% recyclable. The Oval Bench and Chair can be used as lounge, reception, residential or patio seating. Visit the Synthesis Studio website – here.